Many writers are interested in finding a corporate freelance writing job. Corporate freelance writing jobs tend to be long term. Also, if you have a contract with a corporation, you can usually count on being paid. Plus, let’s face it, it looks good to have a well-known corporation in your portfolio and on your writing resume. Finding a corporate freelance writing job can seem daunting if you don’t know where to look. In this post, I share five places where you should focus your marketing efforts if your goal is to land a corporate freelance writing job. It was no coincidence that I listed a link to a professional society with each type of writing opportunity that I shared with you in an earlier post. In my experience, a professional society is one of the best places to look for a corporate freelance writing job. I found many of my technical writing contract and staff positions through contacts that I met in the Society for Technical Communication (STC). You can find freelance jobs through professional societies too. After you join, make sure to list your society membership on your writing resume (and include any training classes that you take). I had one client tell me that my membership in the STC told him that I was serious about writing. Many corporations rely on staffing agencies to find short-term personnel for their projects. Knowing this, there is no reason why you shouldn’t sign up with one, or more, agencies. Your contacts in your professional society can help you learn which agencies specialize in providing companies with the type of writing that you do. Be aware that agencies exist to prescreen candidates for corporations. You should expect that the agency to interview you and carefully check all of your references. Remember, their reputation is at stake if they send you to a corporation and you don’t work out. Many corporate managers are just getting started on the popular social media tools like Facebook and Twitter. LinkedIn seems to have caught on more quickly with the corporate crowd. Your LinkedIn profile can also serve as sort of a mini-resume for those who look at your profile. Cold call. Ask the receptionist for the person in charge of the area where you would like to work. (Technical Communications Department for technical writers, Marketing Communications Department for copywriters…) Even if there is no writing department in the corporation, the receptionist will often connect you to somebody or at least give you the name of a person who fulfills that function for their company. Send the packet, which should contain (at a minimum) a cover letter, several samples of your very best work, and a brochure listing your services. Follow up with the person you spoke to earlier. 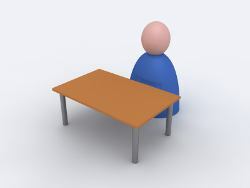 Ask if they received your materials and whether they have any questions. If you have a newsletter, or other periodic mailer, offer them a free subscription. There is an art to cold calling, so don’t be dismayed if you don’t get results right away. The main goal of a campaign such as the one described above is to get your name in front of the corporation’s writing manager. Even if they don’t have a writing job when you talk to them, you will have succeeded if they file your information and pull it out when a project comes up. Corporations sometimes place advertisements for freelance writing jobs in the same places that they would advertise for a permanent employee. This is especially true if the freelance work is long-term. So, don’t overlook the help wanted ads in your local newspaper or the online job sites such as Monster or Indeed. 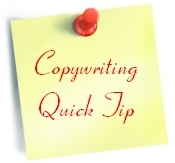 Finding a corporate freelance writing job is largely a matter of persistence and patience. The more persistent you are in applying the marketing efforts described in this post, the more successful you will be in finding corporate freelance writing jobs. Also, when talking with corporate staff writers remember that your goal is not to replace a company’s in-house writing staff, but rather to come alongside them and help out when they are shorthanded. Have you worked on a freelance writing basis for a corporation? What method did you use to find a project?